Various electric and electromagnetic applications are dependent on coils of different types. In order to develop coils of different sizes and shapes, you need to use high-end coil winders. Coil winding machines are essential for making coils with series of loops. Manual Motor Coil Winder: These types of winders are highly useful for small-scale industries or workshops where the winding requirement is not too frequent. 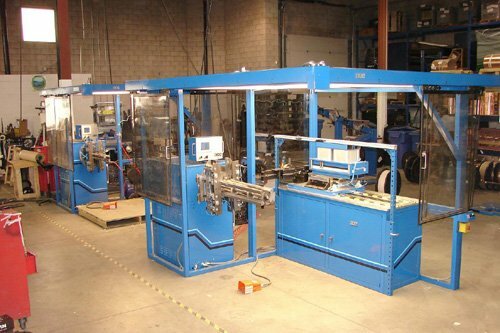 Manual coil winding machines can be operated with hand and are known for giving precise results in terms of coil loops. CNC Linear/ Toroidal Winding Machines: if you need automated winding solutions for customized one-off coils or small quantity batches of coils, then CNC winding machines are the best for you. Armature Coil Winding Machines: This type is suitable for standard as well as customized armature field coil winding requirements. It is an ingeniously designed device with hook commutators. Some of the winders come with auto wire cutting and hooking options. Transformer Coil Winding Machines: Known for their flexibility, robust built and durability, these winding machines are capable of winding coils of different sizes and shapes for transformers. With the help of a good coil winding machine, these factors are taken care of with precision. Automated winding machines are designed to avoid unwanted breakage of the wire or any other glitches. Be it medium or heavy duty coil winding requirement, the winders are capable of giving error-free and consistent results. The transformer industry benefits from the highly controlled working mechanism of coil winders. In order to get the maximum benefit of coil winding equipment, you should do thorough research and comparison of different manufacturers/ suppliers before making an investment. A robust and high performing coil winder will be of great use for your industrial applications. Scott Heran has been part of the business since he was young and attending industry association conventions with his parents Bob and Jean since he was eight years old.Scott has worked in a sales capacity at ACE for over 20 years. Scott graduated from John Carroll University. 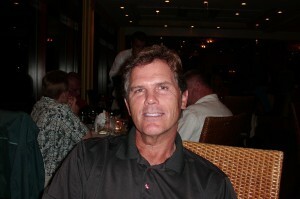 Married to Teresa, he is the proud father of two children and two grandchildren. How Can Automatic Coil Winding Machine Increase the Work Efficiency?